Apple plans to take over the Mesa, Arizona factory where GT Advanced was formerly producing sapphire boules, transforming the facility into a massive $2 billion data center, reports CNBC. The data center will reportedly act as a "command center" for Apple's global data network. According to Arizona Governor Doug Ducey, the center will house 150 full-time Apple employees and its construction at the 1.3 million square foot facility will create 300 to 500 additional jobs. In a statement, Apple called the investment one of the largest it had ever made and pledged that the facility would run on 100 percent renewable energy like the company's other data centers. "This multibillion-dollar project is one of the largest investments we've ever made, and when completed it will add over 600 engineering and construction jobs to the more than one million jobs Apple has already created in the U.S. Like all Apple data centers, it will be powered by 100 percent renewable energy, much of which will come from a new local solar farm," Apple said in a statement on the project. After GT Advanced filed for bankruptcy and abandoned the Mesa, Arizona plant, there were questions about what Apple would do with the facility. 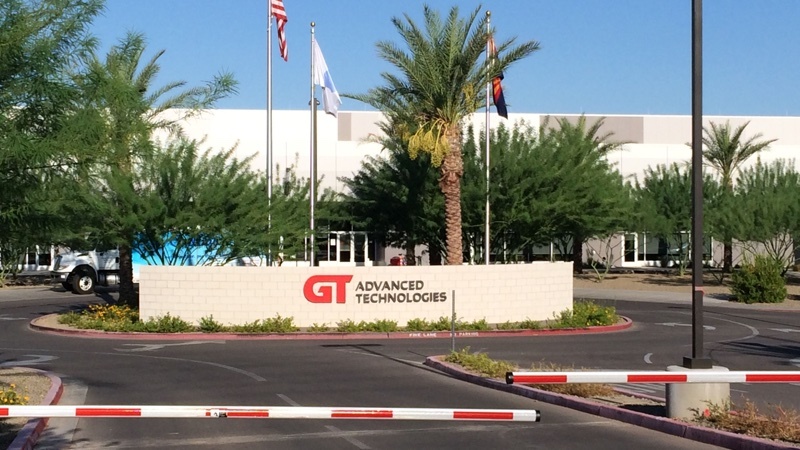 GT Advanced's closure caused a massive loss of jobs in Mesa, but Apple pledged to find a way to repurpose the location and preserve jobs in the city. Since October when a federal judge struck down Arizona's gay marriage ban, I think companies like Apple are more likely to feel comfortable doing business in this otherwise conservative state. I hope the original owners of GT Advanced get prosecuted. They are scammers. So should Apple not do business in states or countries that don't jive with Tim Cook's personal political views? I'm sure there are places less friendly to gays than Arizona that Apple does business in. Ask China how they feel about Gay marriage. This statement (the original one) was moronic. Companies don't care about the politics of the state, unless those politics are costing them more in taxes.